Everyone knows the Bible story of the Israelite Exodus. What most people don’t know is that the Ancient Egyptians wrote an account of the Exodus which has survived, and it’s there in the Kolbrin. Yvonne Whiteman compares the Kolbrin version with five other ancient accounts that reinforce its long-forgotten record, explores what the Kolbrin has to say about one of history’s most astounding events – and comes to some surprising conclusions. Memories, memories: flashback to me sitting wide-eyed with my big brother in Edgware Odeon cinema in the late 1950s, glued to technicolour scenes of magic, locusts, boils and the parting of the waters courtesy of Cecil B. DeMille’s blockbuster The Ten Commandments. Oh, the thrill of Moses a.k.a. Charlton Heston coming face to face with Rameses II and booming, ‘Let my people go!’ Fast forward twenty years, to me interviewing a well-known actress in a London film studio over coffee – when who should walk in and sit at the next table but her co-star and my childhood hero, Charlton Heston – and of course I was dumbstruck. Everyone has been wowed at some time by the story of the Exodus, from the artist Joseph Turner to the director Ridley Scott – but we’re continually reminded that we shouldn’t take the event too seriously. After all, it’s pure fantasy – isn’t it? Well, this will sound much too good to be true, but a record does exist. It takes the form of a chapter somewhat gloomily entitled ‘The Dark Days’ in the Book of Manuscripts, one of six Egyptian books in a volume entitled The Kolbrin, published in 1994 (for more on The Kolbrin, see my earlier article, ‘Guide to The Kolbrin’ on this website). The Papyrus Ipuwer (http://www.reshafim.org.il/ad/egypt/texts/ipuwer.htm). The Papyrus Ipuwer (Leiden I 344 recto) is a single-sheet papyrus held in the Dutch National Museum of Antiquities in Leiden, Netherlands. 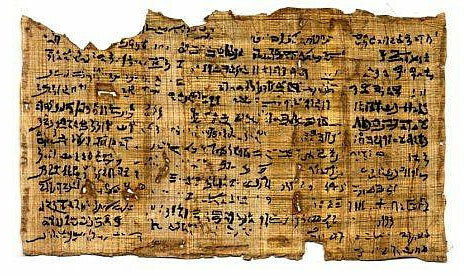 The papyrus, also called the ‘Lament of Ipuwer’ or ‘Admonitions of Ipuwer’ dates from around 1250 BC and has been copied from a much older text. Anyone familiar with Immanuel Velikovsky’s book Ages in Chaos will know that he used the Papyrus Ipuwer to support his claim that the Exodus was a real historical event. Velikovsky has been given a hard time by scholars. His ideas concerning the cataclysmic history of our planet and his maverick suggestion that Venus was once a comet (Worlds in Collision, Earth in Upheaval), his attempt to shorten Egyptian chronology (Ages in Chaos), his uncomfortable perception that human beings effectually blot out their traumatic ancestral experiences (Mankind in Amnesia), and his use of comparative mythology to arrive at his conclusions, have all put him well beyond the academic pale for many decades. However, I myself am persuaded by some of his ideas, and I think that had The Kolbrin been published while Velikovsky was alive (he died in 1979), its older books might well have intrigued him. Old Testament Book of Exodus, King James Version (http://www.bookofdaystales.com/wp-content/uploads/2015/05/av10.jpg). The Israelite Exodus is perhaps the most astounding story in the Old Testament, but many people dismiss the early Old Testament books as fantasy, pointing out that there are no other surviving records of the Exodus. 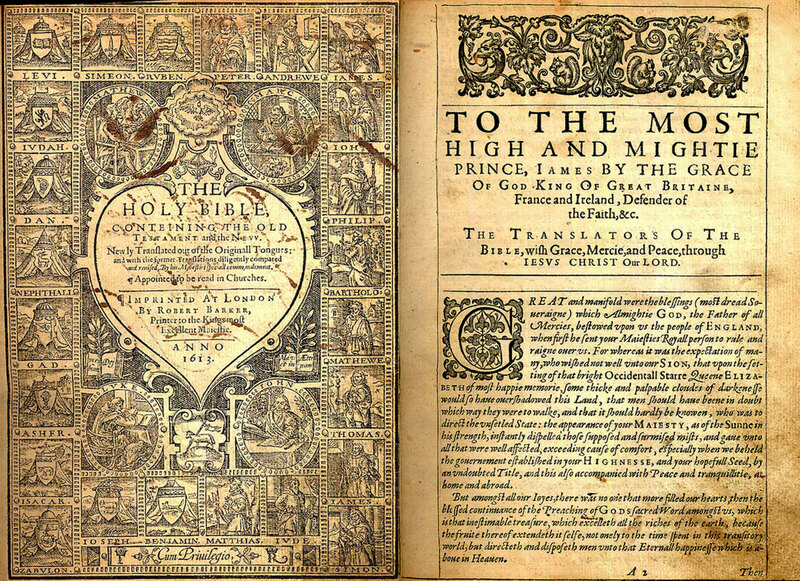 The King James Version, also known as the Authorized Version or King James Bible, is an English translation of the Christian Bible for the Church of England begun in 1604 and completed in 1611. The Old Testament was translated from Hebrew and Aramaic text. The El Arish Stele (http://www.pibburns.com/smelaris.htm). 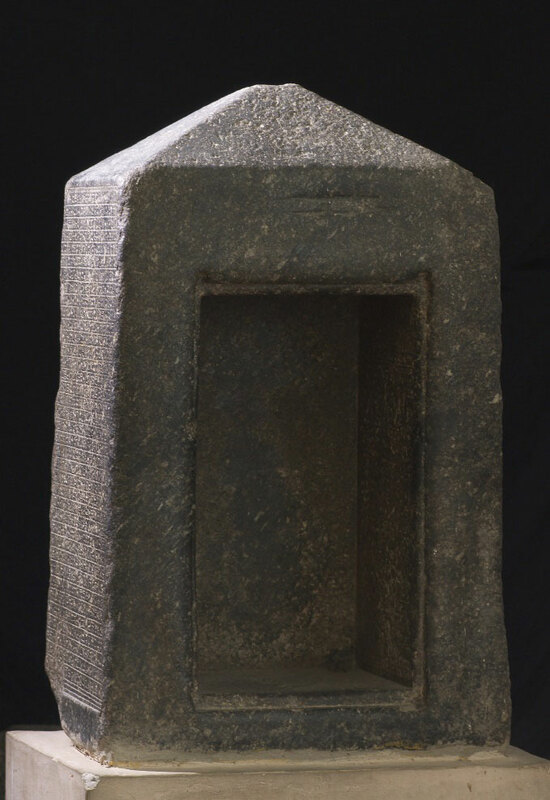 Found in 1887 on a farm in El Arish, north-east of Cairo, the black granite shrine/marker stone known as the El Arish Stele is now in the Egyptian museum of Isma’ilya. It is covered with hieroglyphic inscriptions, some of which describe historical events in that area. Velikovsky used parts of the inscription to help validate the biblical Book of Exodus. 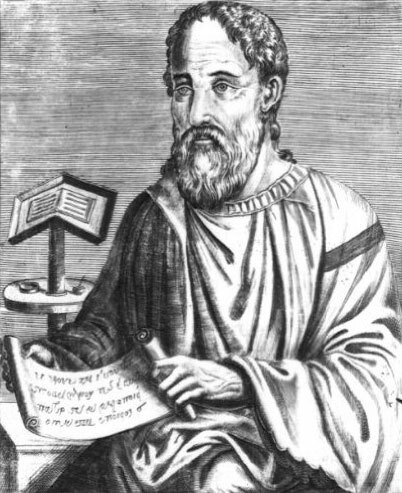 Artapanus of Alexandria quoted by Eusebius in his Praeparatio Evanelica (https://wbaseem.wordpress.com/2013/05/21/fragments-of-artapanus-2/). Artapanus was a historian of Egyptian origin believed to have lived in Alexandria during 3rd/2nd century BC. He wrote a history called Concerning the Jews in Greek between 250 and 100 BC, which is now lost apart from a few quotations found in other writers such as Eusebius of Caesarea, a late-3rd/early 4th-century Roman historian and Christian polemicist of Greek descent. The Ahmose ‘Tempest Stela’ (http://www.jstor.org/stable/10.1086/675069?seq=1#page_scan_tab_contents. For the standard text see http://www.reshafim.org.il/ad/egypt/texts/tempest_stela.htm). At the time Velikovsky was writing, he would have dismissed the existing bland translations of this inscription as irrelevant. 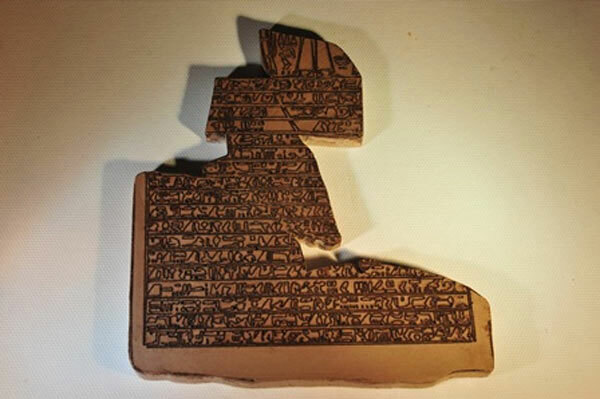 However, in 2014 the Journal of Near Eastern Studies published a new translation (The Ahmose ‘Tempest Stela’, Thera and Comparative Chronology, Robert K. Ritner and Nadine Moeller, The Oriental Institute of the University of Chicago). This is thought to be far more accurate than earlier versions. The 40 lines on the fragmentary Tempest Stela, a six-foot-tall stone block dated to the reign of Pharaoh Ahmose I, describe the devastation and reconstruction resulting from a cataclysm in early Eighteenth Dynasty Egypt. These were days of ominous calm, when the people waited for they knew not what. The presence of an unseen doom was felt, the hearts of men were stricken. Laughter was heard no more and grief and wailing sounded throughout the land. [PAPYRUS IPUWER: Indeed, laughter is perished and is [no longer] made; it is groaning that is throughout the land, mingled with complaints.] Even the voices of children were stilled and they did not play together, but stood silent. The days of stillness were followed by a time when the noise of trumpeting and shrilling was heard in the Heavens, [PAPYRUS IPUWER: Indeed, […] because of noise; noise is not […] in years of noise, and there is no end [of] noise.] and the people became as frightened beasts without a herdsman, as asses when lions prowl without their fold. The dead were no longer sacred and were thrown into the waters. [PAPYRUS IPUWER: Indeed, many dead are buried in the river; the stream is a sepulchre and the place of embalmment has become a stream. AHMOSE TEMPEST STELA: Then every house, every quarter that they [the storm and hail reached […their corpses (?) [sic] floating on the water like skiffs of papyrus outside the palace audience chamber for a period of […] days.] Those already entombed were neglected and many became exposed. [PAPYRUS IPUWER: Behold, the possessors of tombs are ejected on to the high ground.] They lay unprotected against the hands of thieves. [PAPYRUS IPUWER: Indeed, the plunderer […] everywhere, and the servant takes what he finds. / The robber is a possessor of riches] He who once toiled long in the sun, bearing the yoke himself, now possessed oxen. He who grew no grain now owned a storehouse full. [PAPYRUS IPUWER: Behold, he who had no grain is now the owner of granaries.] He who once dwelt at ease among his children now thirsted for water. He who once sat in the sun with crumbs and dregs was now bloated with food, he reclined in the shade, his bowls overflowing. Cattle were left unattended to roam into strange pastures, and men ignored their marks and slew the beasts of their neighbours. [PAPYRUS IPUWER: Behold, cattle stray and there is none to collect them, but everyone fetches for himself those that are branded with his name.] No man owned anything. The public records were cast forth and destroyed, and no man knew who were slaves and who were masters. [PAPYRUS IPUWER: Behold, the poor of the land have become rich, and the [erstwhile owner] of property is one who has nothing. / Behold, noble ladies are now on rafts, and magnates are in the labour establishment, while he who could not sleep even on walls is now the possessor of a bed.] The people cried out to the Pharaoh in their distress, but he stopped his ears and acted like a deaf man. Dust and smoke clouds darkened the sky and coloured the waters upon which they fell with a bloody hue. The darkness was not the clean blackness of night, but a thick darkness in which the breath of men was stopped in their throats. Men gasped in a hot cloud of vapour which enveloped all the land and snuffed out all lamps and fires. [AHMOSE TEMPEST STELA: No torch could be lit in the Two Lands.] Men were benumbed and lay moaning in their beds. [BOOK OF EXODUS: Neither rose any from his place for three days.] None spoke to another or took food, for they were overwhelmed with despair. Ships were sucked away from their moorings and destroyed in great whirlpools. It was a time of undoing. The Earth turned over, as clay spun upon a potter’s wheel. [PAPYRUS IPUWER: Indeed, the land turns around as does a potter’s wheel.] The whole land was filled with uproar from the thunder of the Destroyer overhead and the cry of the people. [AHMOSE TEMPEST STELA: … And the sky being in storm without [cessation, louder than] the cries [lit., ‘voices’] of the masses.] There was the sound of moaning and lamentation on every side. The Earth spewed up its dead, corpses were cast up out of their resting places and the embalmed were revealed to the sight of all men. [PAPYRUS IPUWER: Indeed, those who were in the place of embalmment are laid out on the high ground.] Pregnant women miscarried and the seed of men was stopped. People fled outside their dwellings in fear and were slain by the hail. Those who took shelter from the hail were swallowed when the Earth split open. There were nine days of darkness and upheaval, while a tempest raged such as never had been known before. [EL ARISH STELA: [the palace] was in great [affliction] … there was no exit from the palace by the space of nine days. Now these [nine] days were in violence and tempest: none whether god or man could see the face of his fellow. AHMOSE TEMPEST STELA: The gods [caused] that the sky come in a tempest of r[ain], with [dark]ness in the condition of the West, and the sky being in storm without [cessation] … more powerful [than…], [while the rain howled] on the mountains louder than the sound of the underground source of the Nile that is in Elephantine.] When it passed away brother buried brother throughout the land. [PAPYRUS IPUWER: He who places his brother in the ground is everywhere.] Men rose up against those in authority and fled from the cities to dwell in tents in the outlands. Egypt lacked great men to deal with the times. The people were weak from fear and bestowed gold, silver, lapis lazuli, turquoise and copper upon the slaves, [PAPYRUS IPUWER: Indeed, gold and lapis lazuli, carnelian and amethyst, Ibhet-stone and […] are strung on the necks of maidservants. BOOK OF EXODUS: And the Lord said unto Moses … let every man borrow of his neighbour, and every woman of her neighbour, jewels of silver, and jewels of gold. And the Lord gave the people favour in the sight of the Egyptians. ARTAPANUS OF ALEXANDRIA: they, after borrowing from the Egyptians many drinking-vessels, and no little raiment, and very much other treasure…] and to their priests they gave chalices, urns and ornaments. Pharaoh alone remained calm and strong in the midst of confusion. The people turned to wickedness in their weakness and despair. Harlots walked through the streets unashamed. Women paraded their limbs and flaunted their womanly charms. Highborn women were in rags [PAPYRUS IPUWER: Behold, noblewomen go hungry / Noblewomen suffer like maidservants / Great ladies, once possessors of riches, now give their children for beds. AHMOST TEMPEST STELE: The crowds [on] the East and West had hidden faces, having no clothing on them after the display of terror-inducing might of the god.] and the virtuous were mocked. In seven days, by Remwar the accursed ones journeyed to the waters. They crossed the heaving wilderness while the hills melted around them; above, the skies were torn with lightning. They were sped by terror, but their feet became entangled in the land and the wilderness shut them in. They knew not the way, for no sign was constant before them. They turned before Noshari and stopped at Shokoth, the place of quarries. [BOOK OF EXODUS: And they took their journey from Succoth.] They passed the waters of Maha and came by the valley of Pikaroth, northward of Mara. [BOOK OF EXODUS: But the Egyptians pursued after them, all the horses and chariots of Pharaoh, and his horsemen, and his army, and overtook them encamping by the sea, beside Pi-hahiroth.] They came up against the waters which blocked their way and their hearts were in despair. The night was a night of fear and dread, for there was a high moaning above and black winds from the underworld were loosed, and fire sprang up from the ground. The hearts of the slaves shrank within them, for they knew the wrath of Pharaoh followed them and that there was no way of escape. They hurled abuse on those who led them, strange rites were performed along the shore that night. The slaves disputed among themselves and there was violence. Pharaoh had gathered his army and followed the slaves. [ARTAPANUS OF ALEXANDRIA: the people of Heliopolis say, that the king hastened after them with a great force.] After he departed there were riots and disorders behind him, for the cities were plundered. The laws were cast out of the judgement halls and trampled underfoot in the streets [PAPYRUS IPUWER: Indeed, the laws of the council chamber are thrown out; indeed, men walk on them in public places, and poor men break them up in the streets.] The storehouses and granaries were burst open and robbed [PAPYRUS IPUWER: Behold, he who had no grain is now the owner of granaries/ the corn of Egypt is common property.] Roads were flooded and none could pass along them. People lay dead on every side. The palace was split [PAPYRUS IPUWER: the Residence is thrown down in a moment] and the princes and officials fled, so that none was left with authority to command. The lists of numbers were destroyed, public places were overthrown and households became confused and unknown. A whirlwind arose in the East and swept over the encamped hosts. A gale raged all night and in the red twilit dawn there was a movement of the Earth, the waters receded from the seashore and were rolled back on themselves. There was a strange silence and then, in the gloom, it was seen that the waters had parted, leaving a passage between. [BOOK OF EXODUS: The Lord caused the sea to go back by a strong east wind all that night, and made the sea dry land, and the waters were divided.] The land had risen, but it was disturbed and trembled, the way was not straight or clear. The waters about were as if spun within a bowl, the swampland alone remained undisturbed. From the horn of the Destroyer came a high shrilling noise which stopped the ears of men. The slaves had been making sacrifices in despair, their lamentations were loud. Now, before the strange sight, there was hesitation and doubt; for the space of a breath they stood still and silent. Then all was confusion and shouting, some pressing forward into the waters against all who sought to flee back from the unstable ground. Then, in exaltation, their leader led them into the midst of the waters through the confusion. [BOOK OF EXODUS: The children of Israel went into the midst of the sea upon the dry ground. ARTAPANUS OF ALEXANDRIA: the stream divided, and the force passed over by a dry path.] Yet many sought to turn back into the host behind them, while others fled along the empty shores. Then the fury departed and there was silence, stillness spread over the land while the host of Pharaoh stood without movement in the red glow .Then, with a shout, the captains went forward and the host rose up behind them. The curtain of fire had rolled up into a dark billowing cloud which spread out as a canopy. There was a stirring of the waters, but they followed the evildoers past the place of the great whirlpool. [BOOK OF EXODUS: And the Egyptians pursued, and went in after them to the midst of the sea, even all Pharaoh’s horses, his chariots, and his horsemen.] The passage was confused in the midst of the waters and the ground beneath unstable. Here, in the midst of a tumult of waters, Pharaoh fought against the hindmost of the slaves and prevailed over them, [EL ARISH STELE: Now when the majesty of Ra Harmachis [fought] with the evil-doers in this pool, the Place of the Whirlpool, the evil-doers prevailed not over his majesty. His majesty leapt into the so-called Place of the Whirlpool? (sic) His legs became those of a crocodile, his head that of a hawk with a bull’s horn upon it: he smote the evil-doers in the Place of the Whirlpool] and there was a great slaughter amid the sand, the swamp and the water. The slaves cried out in despair, but their cries were unheeded. Their possessions were scattered behind them as they fled, so that the way was easier for them than for those who followed. Tidings of the disaster came back by Rageb, son of Thomat, who hastened on ahead of the terrified survivors because of his burning. He brought reports unto the people that the host had been destroyed by blast and deluge. The captains had gone, the strong men had fallen and none remained to command. Therefore, the people revolted because of the calamities which had befallen them. Cowards slunk from their lairs and came forth boldly to assume the high offices of the dead. [PAPYRUS IPUWER: The coward takes the brave man’s property] Comely and noble women, their protectors gone, were their prey. [PAPYRUS IPUWER: Noblewomen suffer like maidservants] Of the slaves the greater number had perished before the host of Pharaoh. The invaders, led by Alkenan, came up out of the Land of Gods, [PAPYRUS IPUWER: Barbarians from abroad have come to Egypt.] because of the wrath of Heaven which had laid their land waste. There, too, had been a plague of reptiles and ants, signs and omens and an earthquake. There, also, had been turmoil and disaster, disorder and famine, with the grey breath of the Destroyer sweeping the round and stopping the breath of men. Rageb went with Pharaoh [YW note: Is this a new Pharaoh? The previous Pharaoh’s chariot was destroyed in El Arish/the Place of the Whirlpool, so we must assume that the Pharaoh was killed. Was Anturah the new Pharaoh?] and met the invaders at Herosher, but the hearts of the Egyptians were faint within them. Their spirits were no longer strong and they fell away before the battle was lost. Deserted by the gods above and below, their dwellings destroyed, their households scattered, they were as men already half dead. Their hearts were still filled with terror and with the memory of the wrath which had struck them from out of Heaven. They were still filled with the memory of the fearsome sight of the Destroyer and they knew not what they did. Looking at the Book of Exodus and The Kolbrin side by side, what emerges sharply are the differing viewpoints. 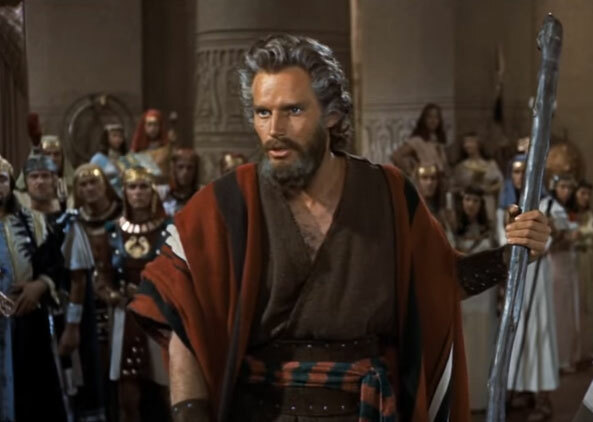 The Book of Exodus describes the Israelite triumph in black and white as that of a nation led by Moses and God; The Kolbrin, somewhat surprisingly, owns up to a huge national disaster and criticises Egypt throughout. The Pharaoh is described as deaf to the plight of the slaves; the country, it is said, lacked great men to deal with the devastation; the Egyptians were weakened with fear by the Destroyer; and Pharaoh remained calm and strong, fighting against the hindmost of the slaves with his army and carrying out a great slaughter, Egypt’s charioteers were destroyed in the blast and deluge that followed. It won’t have escaped readers how many similarities there are between The Kolbrin and the Papyrus Ipuwer, which suggests a common source for both. The Kolbrin has some intriguing observations not mentioned by the other sources: many Israelite slaves tried to turn back into the Egyptian host behind them, while others fled along the empty shores; most of the slaves perished at the hands of Egyptian charioteers; the new pharaoh [Anturah?] fought the invaders/Children of Darkness [the Hyksos?] without success; he then suffered a nervous breakdown, lost his heritage and fled to the south-west, where he lived a good life among the sand wanderers and wrote books. Books, for heaven’s sake! (Or papyri, if you prefer.) Who would fabricate something like that? Where names are concerned, I’ve been impressed by the research of the historians Alan Wilson and Baram Blackett. In their book Moses in the Hieroglyphs (Atlantic Technical Services/Trafford 2009 – a difficult but ultimately rewarding read), they identify Thom/Thomat as Pharaoh Sebek-ka-re / King Tazzigurruwash / H.K.Pharaoh Thoum-Timaeus, father of Prince Geb. As for dates, the palaeoecologist and dendrochronologist Mike Baillie, in his excellent book Exodus to Arthur: Catastrophic Encounters with Comets (B.T. Batsford, 1999), dates the Exodus to 1628 BC. 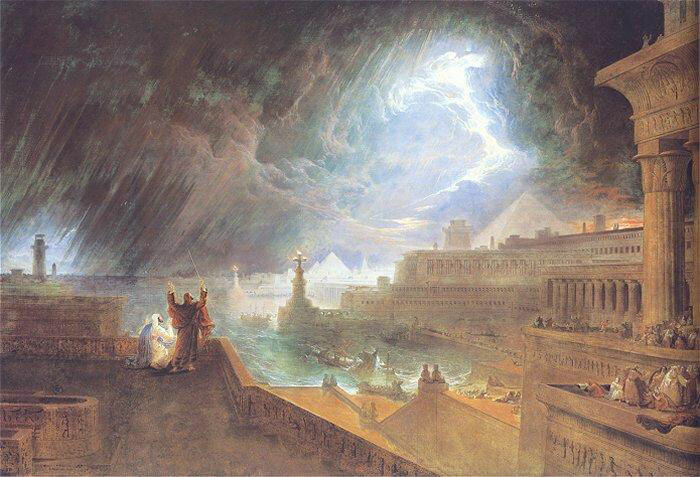 A terrible comet was seen by the people of Ethiopia and Egypt, to which Typhon, the king of that period, gave his name; it had a fiery appearance and was twisted like a coil… it was not really a star so much as what might be called a ball of fire. For a full description of the Destroyer, see Chapters 3 and 4 from the Great Scroll in the Book of Manuscripts which directly precede ‘The Dark Days’ chapter. How widespread was the devastation caused by the Destroyer? Both The Kolbrin and Pliny the Elder say that the comet-like phenomenon was seen in Egypt and surrounding areas. Mike Baillie has used palaeoecology and dendrochronology alongside his examination of ancient cometary records from around the world; he points out that at this time destructive events were also experienced as far away as China. 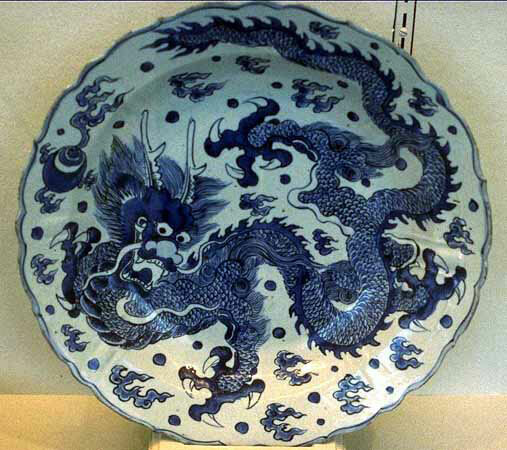 It’s worth noting that traditional depictions of the Chinese Celestial Dragon closely resemble the detailed description of the Destroyer in earlier Kolbrin chapters preceding ‘The Dark Days’. Alongside images of the Chinese Celestial Dragon below, I have included one from the alchemical Ripley Scroll in the Bodleian Library, named after Sir George Ripley (circa 1415–90); like the Chinese Celestial Dragon, it echoes Kolbrin descriptions of the Destroyer. 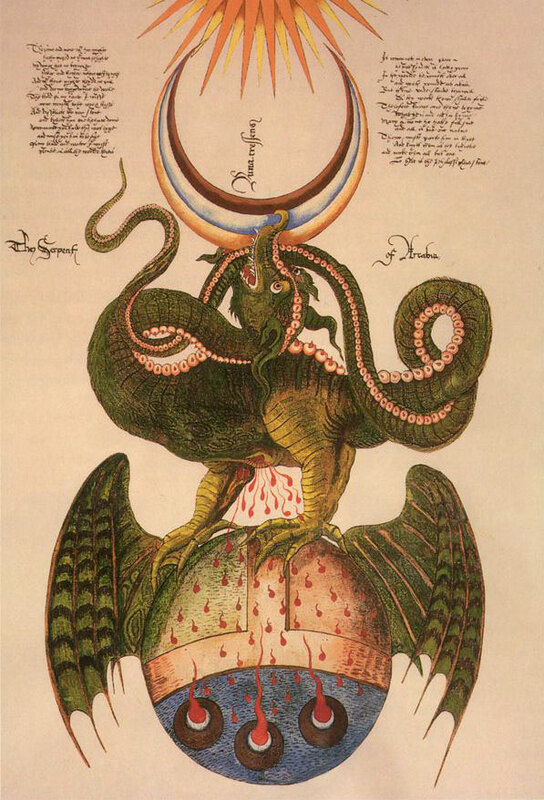 Note the small flaming object, known as ‘the pearl’, which accompanies the dragon, and the three ‘pearls’ in the Ripley Scroll; the Destroyer is described as being accompanied by smaller destructive entities. Also note the crescent shape in two of the images below – this might be the ‘horn’ alluded to in the Kolbrin text ‘From the horn of the Destroyer came a high shrilling which stopped the ears of men.’ All in all, it begins to look as though the Destroyer was not just a local, but a global phenomenon. 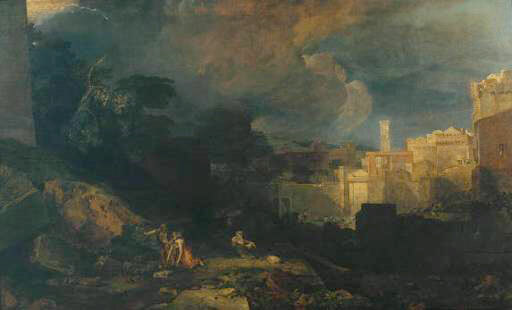 With the recent discovery of pumice rocks in the Nile Delta, scholars are now coming round to the idea that the disastrous events of the Exodus were caused by a volcanic mega-eruption on the Aegean island of Thera/Santorini. But The Kolbrin says more: it states that during its periodic visits to Earth, the Destroyer was so powerful that it actually caused volcanoes to erupt, as well as triggering earthquakes, tidal waves and flooding; Chapters 3 and 4 of Manuscripts refer back to ancient records, saying that the Destroyer returns at regular intervals and prophesying the Destroyer’s next visit to Earth. ‘The Dark Days’ chapter is signed off: ‘This is written in this land and in our tongue by Leweddar who, himself, chose it for saving. It was not seen until the latter days.’ No date, no place – just those words. We are told in The Kolbrin’s 1994 introduction and in The Kolbrin’s Book of the Sons of Fire that the text was brought over to Britain from Egypt via Tyre and Sidon and later kept at Glastonbury Abbey. If so, then ‘This land’ means Britain, and Leweddar would have been a scribe, almost certainly a monk. So my heartfelt thanks to you, Leweddar, for saving this remarkable version of the Exodus. You’re up there in my Hall of Heroes alongside the late great ‘Moses’ Heston. Searching the internet I found this to all fall apart very fast. None of the claims made are verifiable and it is all based on a text the provenance of which is dubious at best. OK. Putting aside the Kolbrin text for a moment (which both you and I agree has no provenance), what did you think of what the Papyrus Ipuwer, the Ahmose Tempest Stele, the El Arish inscription, the Book of Exodus and Artapanus had to say? The rewriting of REAL history never ceases to amaze me. This article continues in this fine tradition of Talmudic hijacked history and repetition of the BIG LIE. Ms. Whiteman needs to conduct better research. The same knuckle heads who would buy this story are the same that buy the US Govt’s version of 9-11. The ancient Jews originated in North Yemen/South Eastern Arabia and DID NOT have some bearded drugged out water divider leading them out of Egypt. The REAL Exodus was from the above region into Ethiopia (former location of the Ark of the Covenant and now most likely residing in the New Temple of Solomon in Sao Paulo, Brazil). Prof. Ze’ev Herzog, head of the Department of Archaeology and Ancient Near Eastern Studies at Tel Aviv University. Sloopyjow, I believe you should research Egyptologist David Rohl’s work on Egyptain new chronology which places the Exodus around 1450BC. He also used the Ipuwer Papyrus as research as well as many other sources. Curious, isn’t it, that the people described in The Kolbrin as slaves who had built a city to the glory of Thom, who became bold and insolent, who were led out of Egypt by a priest prince of the inner courtyard, so closely resemble the Israelite slaves described in the Book of Exodus? Perhaps I should just have described them simply as ‘slaves’, as the Papyrus Ipuwer does. But there’s no denying that there’s an enormous similarity in detail between the different narratives (one with no provenance at all, three Ancient Egyptian, one Hebrew/Aramaic and one written by an Alexandrian quoted by a Christian polemicist); that’s what I’ve been attempting to point out. Check out James Mccanney’s website at jmccsci.com for more on what is referred to here as ‘The Destroyer’. Mccanney has a deep background in physics and mathematics and has developed an incredible hypothesis for how the universe really works, backed by hard science. One of his tenets is that solar systems throughout the galaxy are routinely visited by large comets, which – depending on various factors- can cause enormous chaos on the planets within that system (the earth, e.g.) Mccanney is a proponent of both Velikovsky and the Kolbrin. A truly good work. 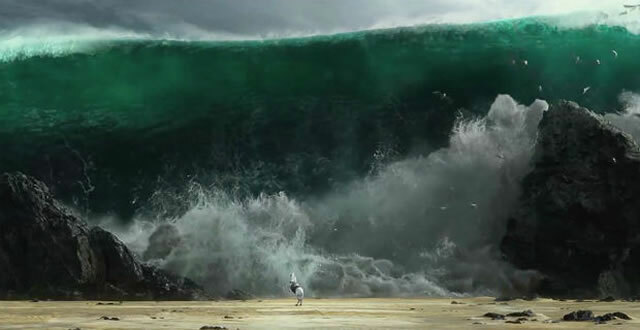 Volcanic activity anywhere other than the red sea could not cause a red sea Tsunami. The red sea area we are talking about is the present gulf of suez and was the REED sea where reeds grew creating a great reed industry. Reeds grow in very shallow water. Any Tsunami in the main Red sea area would have drained all waters off the main red sea shelf and much more than a coastal Tsunami whereby the gulf of suez is like a very long beach, such an extreme sudden pre Tsunami dry out could last up to 20 minutes. which is the time one would have to get across the Reed sea. Therfor I would like to suggest a possible theory that getting across was really no problem as crossing points existed, the problem was 10 to 20 minutes later when the incoming Tsunami arrived on the scene. Those who managed to get across and onto high ground would see it as a miracle, they being the only survivors tell such stories of miracles and gods. And by the way, in ancient Egypt the title Pharao, meaning ‘Great house’, ws a title among many others and came more commonly in use in the 7th and 6th century BC, at the time when the Bible supposedly was compiled and composed. Another confirmation of the Exodus story is in “The Gold of Exodus” by Howard Blum. The author and two friends set out to follow the trail of Moses and his people using Exodus as a guide book. They not only demonstrated that the ancient ‘myth’ is supported by evidence on the ground but found at the end the real Mount Sinai in Saudi Arabia. Mythology is mythology, not chronology. So it cannot be dated. I find the argument in ‘The Bible Unearthed’ by Israel Finkelstein and Neil Asher Silberman most persuasive. They say no physical evidence has been found for a specific human event. however as people were travelling fro Egypt to Mesopotamia on a regular basis via Canaan, Palestine etc., there might well have been an exodus of say Akhenaten monotheism, or some such among émigrés from Egypt to points north and East. The fact they seemed to have added the possible tsunami from the Thera eruption in plus other bits and bobs still makes it a mythology but written maybe during the 1st Exilic Period. So much speculation, so little hard evidence. The authors do say that the tribes of Israel and Judah seem to have lived in Canaan all along rather than arriving there from Egypt. Cousins to the Canaanites and Phoenicians, and dominated by Akkad/Babylon/Assyria in the North and Egypt in the south. Very interesting article. Noted some curiosities. Present day El Arish is on the Mediteranean coastline east of the delta. Pi-hiharath is shown on maps as the south west point of the Sinai. The Sea of Reeds aka The Bitter Lakes is currently a small area that is part of the Suez Canal. It was much bigger before the Canal was put through. It sits in the sand-filled rift that is the northern part the Red Sea. 3300 years ago that area may have been quite different, perhaps less sand-filled, more water and marshes of a different size and location. All of these points beg the question of which route did the Exodus follow? The large body of Israelites would have been slow moving compared to chariots and calvary unless Pharoah’s forces kept together and went no faster than his foot soldiers marched. The wording of the article and in Exodus both refer to “sea” and say it “pulled back” exposing dry land. This suggests that perhaps the Israelites were fleeing along a coastline that was easier walking and came to a place where they could go no further. If the beach was blocked by a cliff [later on when the waters come back it, rocks fall on the Egyptians and rocks are thrown up from the sea] and the withdrawal of the sea revealed the underwater shelf, then there was a way out. The Israelites who made it out considered themselves chosen of God. Those who were killed by Egyptians or drowned were not of the Chosen. Would be interested in the views of others on the location question. Some skeptics will refuse to accept information unless the event occurs directly in their presence, or perhaps in the presence of someone they have absolute ‘faith’ in like a parent, spouse or best friend. I do believe that the Bible is a historical record of real events. Whether each event occurred absolutely or exactly as described may be a point of discussion, but the overall story has had too many archeological, and historical corroborations to be random coincidence or a mere fable. Yet we must remember that the Old Testament stories were very very ancient before being written down, and we must therefore allow for some imprecision in certain places. Concerning the Exodus, the facts are that at some point in the ancient past, the Israelites arrived and quickly built a historical kingdom in a land that was heavily populated, and in the areas dominated by the Egyptians, Assyrians, and Babylonian Super Powers for ages before. It must be asked, where did these people come from? How did they succeed in ousting all existing powers, and do so without being nipped at the root by a concurrent Super Power? Well, the Exodus would explain that fairly well. Coming from Egypt, they would have used the most advanced technology available; would have come from an area that would have left little record of a long geographical migration such as the Mongols, Huns, or Saxons; and having bested the Egyptians, they would have cowered other would-be enemies into believing them near invincible. [Just think of how many European nations fell so readily to the Nazi ware machine in WWII as the myth of invincibility proceeded the invasions] And of course, all this assumes that there isn’t a real super-natural power that favored their actions (which some may discount or agree with, but needn’t be a part of this discussion). I had the pleasure to see a program called “The Exodus Decoded” on the History Channel which gave some plausible arguments towards several Exodus events. While the program may have stretched to include some points, the overall program gives some explanation as to why the historical evidence has been scarce so far. As with Mr. Hancock’s article above, in ancient history, we rarely have a solid evidentiary basis for believing in nearly anything. And using that line of logic as rationale, we might as well also doubt the occurrence of the Battle of Thermopylae, the Hebrew exile in Babylon, Hannibal’s march through the Alps, or Alexander’s death in battle. Projecting forward, in two millennium people may also doubt that Charlemagne, was a historical figure, that Pilgrim’s ever landed at Plymouth Rock, or that there ever was a real threat of global nuclear war into the 1980s. Good Job Graham! If you can offer some original material – ancient texts or inscriptions – which disprove the Exodus, rather than a list of derivative opinions, I should be interested to read them. ancient texts. lots of searchings…You will find a lot of information, more now is being revealed…with all the earth movements to uplift our past…and find the Truth of All. When you just read ‘King James Version of the Bible’ those are the ”keys words”. Keep that in mind when reading. There are huge gaps in this story, jumps all over the place. 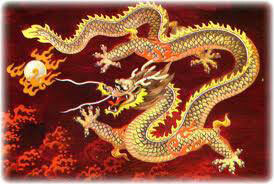 Get to the scrolls, and many still have not been translated. So its our time now…to get at the truth. of our existence, past and our present. WAKE UP TIME>>>SNAP OUT OF IT.!! Yes, Marlene, there are many more documents and tablets to be found and explored. And yes, I am aware that the King James Bible jumps and has gaps. But I think you are missing the point of my article: if the Exodus story in the Kolbrin, which has no provenance, corresponds in so many details with other roughly contemporary texts which do have provenance, then I for one think the Kolbrin story should be taken seriously – and that other parts of the Kolbrin might reward further study. I have included the King James Bible’s retelling of the Exodus story because, to the best of our knowledge, it is an authentic source of ancient events which has been preserved down the centuries. Just because it is full of gaps and jumps, doesn’t mean we should dismiss it. For some readers it is the only text I have used that they will be familiar with. It is also an important translation produced by some of the best scholars of the early 17th century. Its early events can be augmented and interwoven with those in other texts we consider authentic to help give us a clearer view of our baffling past. What’s wrong with that?